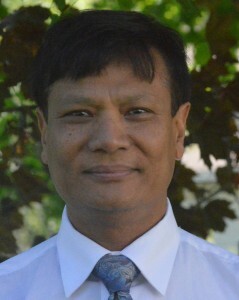 Anup Joshi teaches courses on the technical aspects of terrestrial carbon accounting which include field inventory, remote sensing, and GIS for measuring and mapping forest carbon stocks. These courses, taught through the Carbon Institute, a dedicated initiative of GHGMI, provide both a theoretical background and practical hands on training experience focused on promoting innovative and interdisciplinary science, education and cooperation to measure and manage carbon, with a focus on supporting emerging academic carbon accounting programs worldwide. Dr. Joshi has over 12 years of experience in using remote sensing and GIS tools for mapping and monitoring forests for biodiversity conservation and natural resources management programs. He led a technical team to develop a baseline reference emissions level (REL) for a sub-national REDD+ program, Terai Arc Landscape, Nepal. Like many developing countries, Nepal lacks regular forest inventory data to generate historical deforestation rates, one of the requirements for developing REL. His team used field measurements and LiDAR sampling along with satellite data to model current above ground carbon stocks in different forest types and conditions. The models were ground verified then applied to LANDSAT satellite data from 1999-2011 to generate historical deforestation and degradation rates in order to develop a REL. Their work demonstrates how historic emission rates can be generated retro-prospectively, even in the countries lacking regular forest monitoring data, to develop a credible and transparent REL. He also provides training courses on developing MRV protocols for accurately monitoring, reporting and verifying forest carbon emissions necessary for successful implementation of REDD+ programs at sub-national and national levels.